Google Photos for iOS has been updated to version 1.4, allowing you to share animation via WhatsApp and Facebook Messenger. In the U.S. only, you can label people who are pictured in photographs. Once you have these people labeled, you can merge face groups, search for specific people, and even combine specific search terms (Fred at the ballpark in Cleveland). Other changes allow the app to open faster, and the new version comes with bug fixes and performance improvements. One thing missing is support for Chromecast, which Google promises is coming soon. 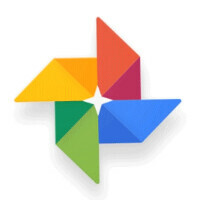 The Google Photos for iOS app is available from iTunes and is a free app for both the iPhone and iPad. If you are using the app with either device, you need to have iOS 8.1 or later installed, or else the app will not be compatible with your Apple product.